With it being November, now is the perfect time to get into Christmas mode. Especially if you're thinking about taking part in the challenge of blogmas throughout December and the lead up to Christmas. Similar to blogtober, blogmas focuses on daily blogging right up to the big day. Last year was my first blogmas and it was so much fun, but not only that I learnt so much for blogging daily. 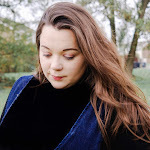 With that in mind I thought that write a little post to share some of my tips to smash and be successful with blogmas, which I plan on using throughout the festive season in the hopes to inspires you to take part too. When is comes to daily blogging there is so much involved and it can take up quite a bit of you time, so before you decided to join the blogmas train try and be realistic when you are trying to work daily blogging into your work schedule. Christmas is a busy time of the year anyway with planning, gift buying and deciding whether you want a prawn cocktail for Christmas day starter or stick with simple and easy tomato soup. With blogmas thrown into the mix, you may find yourself overwhelmed. But if you are ready for the challenge and want to be successful at it, know that it can be a lot of fun and bring so much Christmas fun into your life. Sometimes life can get crazy and when it comes to Christmas the craziness can normally be kicked up a notch or two. But the last thing you want to do is force out a post, that's probably too rushed and that your readers will notice and perhaps lose regular readers. So the best way to get prepared for blogmas is to brainstorm ideas and plan, plan and plan some more. I cannot say this enough, planning is everything when is comes to be successful for blogmas. So many bloggers begin their blogmas planning in October and begin pitching to brands for gift guides before then. Plan everything you possibly can to be organised and stay on top of your publishing. Plan your post for each day, including the times, what photos you need to stage and edit, considering creating certain graphics for social media promotion and the different platforms. In terms of brand work, make sure that you are certain of the deadlines as the last thing you want to do is upset a brand you're working with and remember to keep them informed about publishing their content. Planning will really help you so much in the running up to blogmas, however if you prefer more of a improvised take on blogmas then just jot down a few ideas in a note book and then work from there. Even though you are taking part in a challenge try not to divert your niche too much. It's best to keep things simple and straightforward, by creating posts that you would normally, but putting your own stamps on post. It's likely that you will come across similar posts, hello gift guide #5857387 but the idea is to try and make your blog post stand out from the rest. Just do you. The content could include lists, christmas prep, popular recipes. I have found that when you're in the throes of writing good content, take five minutes each day to write down a few ideas for blog post, you could even host a poll on twitter asking your followers what content they would like you to share. If you're anything like me, being organised is like a way of life. There is nothing that keeps me focused than being organised and so this should be something that you do with your blog. By getting organised with your posts and writing them before you plan to schedule will be so much easier for a stress free blogmas, and ease the pressure a little too. We all have lives beyond our love of the wonderful world of blogging and so it makes sense to spend out on making our life easier, and by that I mean a scheduling tool. This is something that you can either do for free with apps like Buffer and Hootsuite that offer in app purchases at later dates, to go pro! As a starting point these are great but soon scheduling posts on Twitter, Facebook and Pinterest become the bane of your life and so looking to spend some money on social media management scheduler is going to be so helpful and save you a tonne of time. Thanks to a certain pro blogger, who convinced me to get into the world of social oomph, it's has changed my scheduling game. I'll still use buffer when I need to, but I know that by paying $3 a month social oomph has got me covered just in case I forget. By scheduling posts and planning ahead you are always able to keep track of your spending for each post. When it comes to taking part in the blogmas challenge, you have to remember that it supposed to be fun, so try not to put too much pressure on yourself and accept every possible opportunity going. Set realistic goals, that you know that you will be able to achieve within your lifestyle. You could be in full time work, in a position that requires more time and thought over Christmas or perhaps you have children. It's always a good idea to try and take your lifestyle, work, family and friends into consideration when planning for blogmas, and that you plan for the unexpected. By setting these realistic goals and easing the pressure will ensure a more successful blogmas so take it easy and enjoy it! Yes, it blogmas so enjoy it. There are absolutely no rule when it comes to blogmas, it's your blog you can whatever you want, when you want. Believe in yourself that you can do it and be successful no matter what is thrown your way. Of course there are a few guidelines too abide by when it comes to working with brands and making their deadlines, and earning money. But essentially you do what you think works best for you and you make your blog your own. This means you can post what you want, when you want, how you want and with your own stamp on things. Not don't forget it's blogmas, so enjoy it!!!! 1 comment on "How To Smash Blogmas This Year"